Filip the teddybear from teddykompaniet. 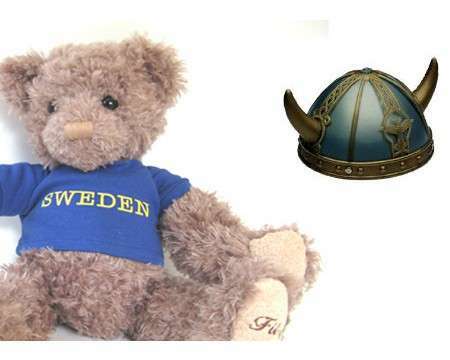 T-shirt with SWEDEN large for the teddybear. All nicely packed in a Eurotote paper gift bag.